Two weeks ago more than 230 Nigerian girls were kidnapped from their school by a local terrorist group, and as the search wears on, the Guardian reports, families are starting to lose hope. As Smart News wrote earlier, the perpetrators are assumed to be part of a group of militants that calls itself Boko Haram, a terrorist organization tied to Al Qaeda. The group's name translates to “western education is sin.” Boko Haram has been on a campaign against schools around Nigeria, though the group's targets also include markets, churches, mosques and other public places. It's been 14 days since the girls went missing and no progress has been made on tracking their whereabouts, either by the military or by groups of machete-wielding parents searching through the countryside. 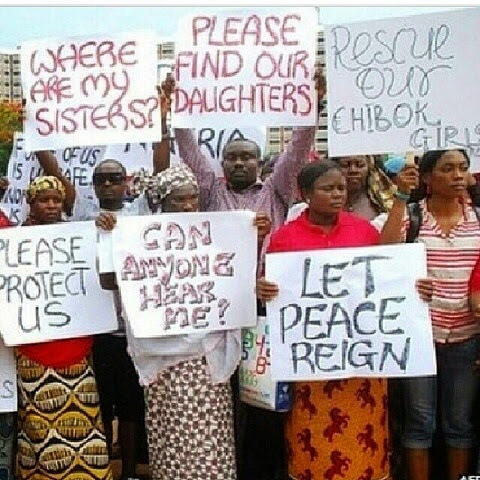 The search for the kidnapped girls also has been muddled by misinformation. In the immediate wake of the kidnapping, says BuzzFeed reporter Jina Moore, the Nigerian military claimed to have found and freed the girls and captured one of the terrorists involved—a claim that was proven wrong and ultimately retracted. And, according to a report by Voice of America, the Boko Haram terrorists are threatening to kill the girls if the search operations aren't called off.